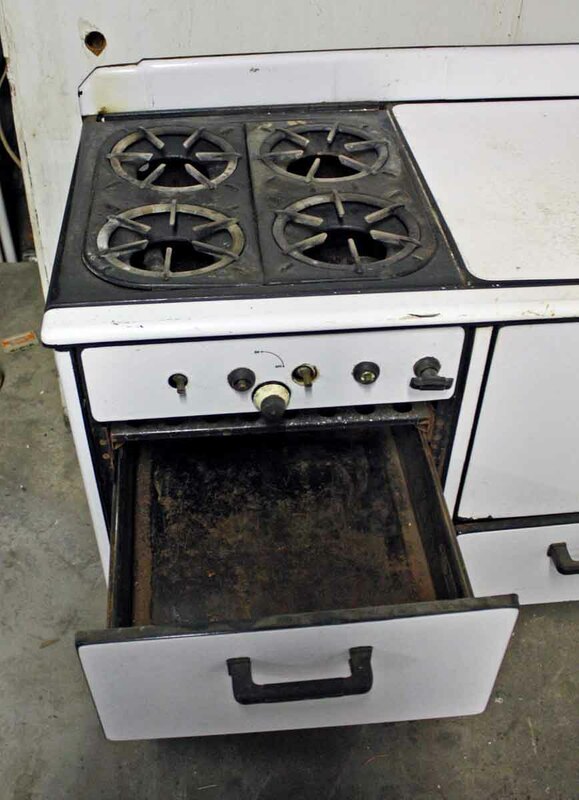 An old white ceramic stove four burner gas range. 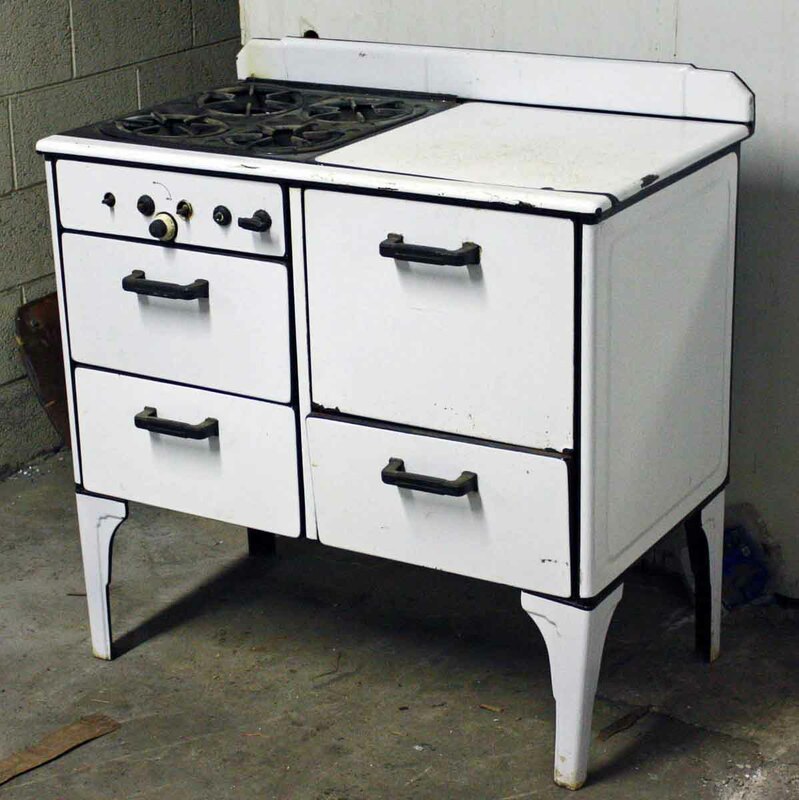 It has a warmer drawer. 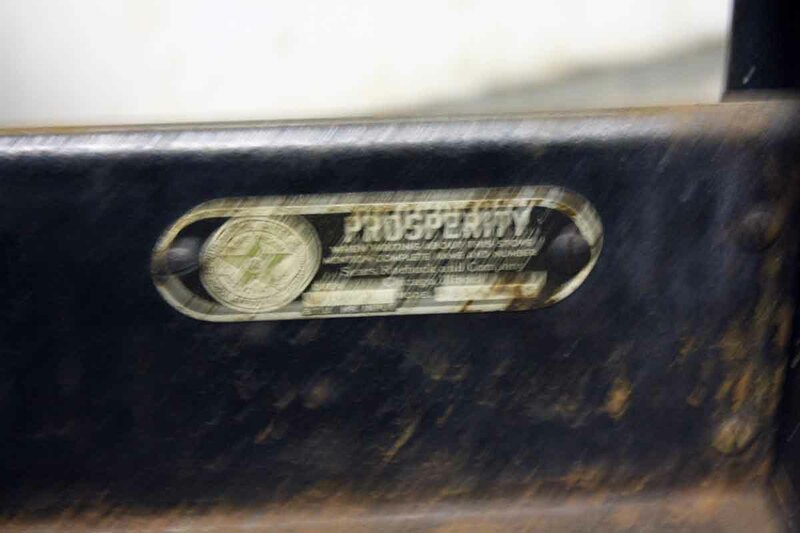 The back label reads Prosperity, order replacement parts from Sears Roebuck and Co. 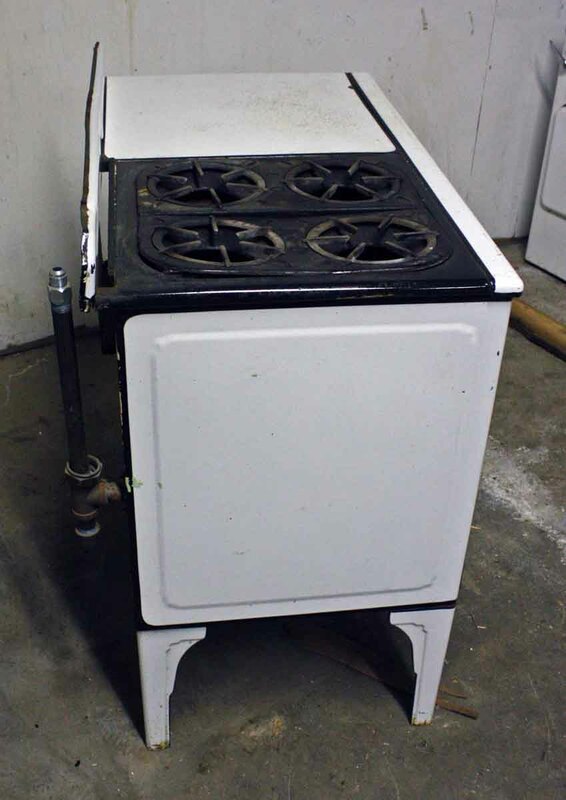 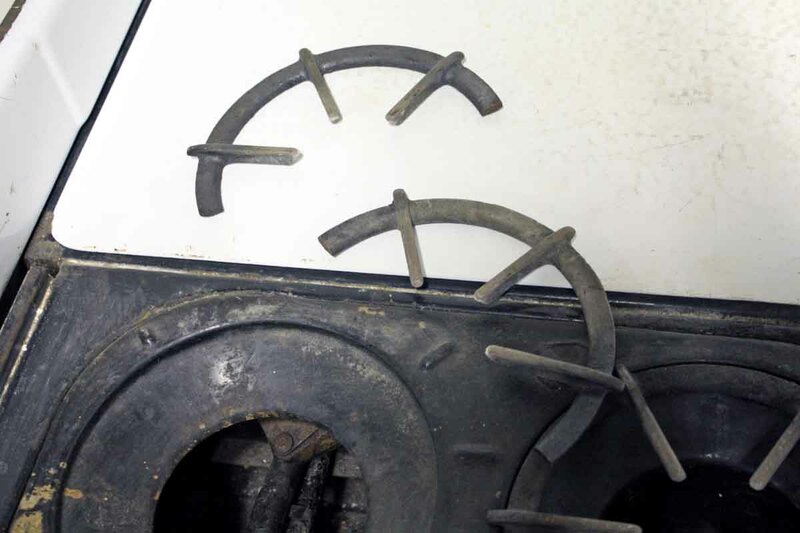 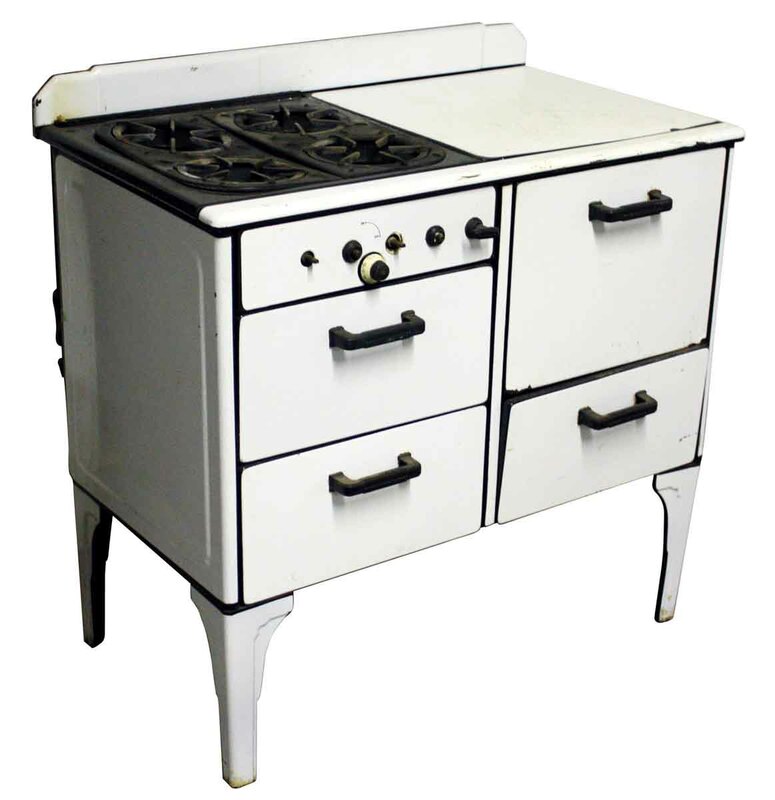 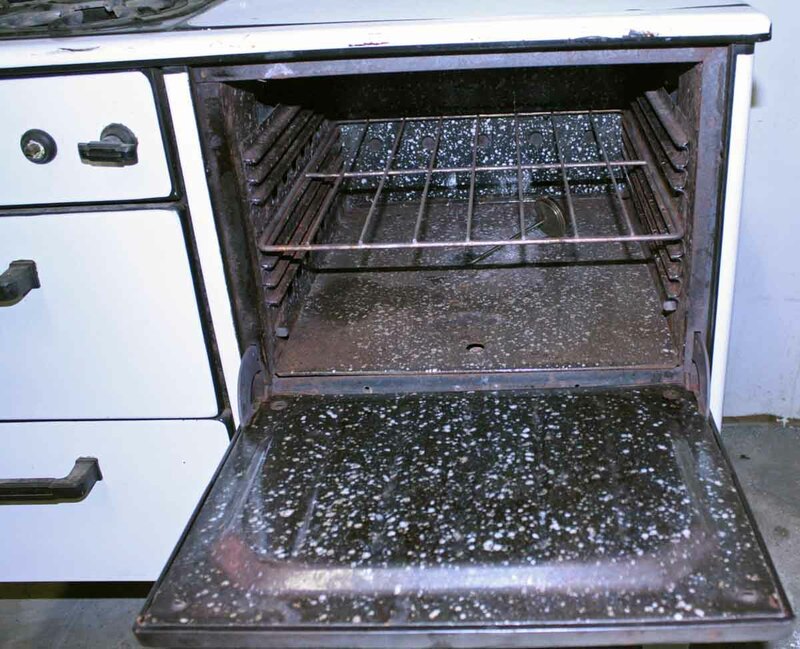 Similar stoves found were patented in 1933 and 1934.